A group of seven dynamic musicians who reach for the sky every time they hit the stage, HORIZON is non-stop excitement! 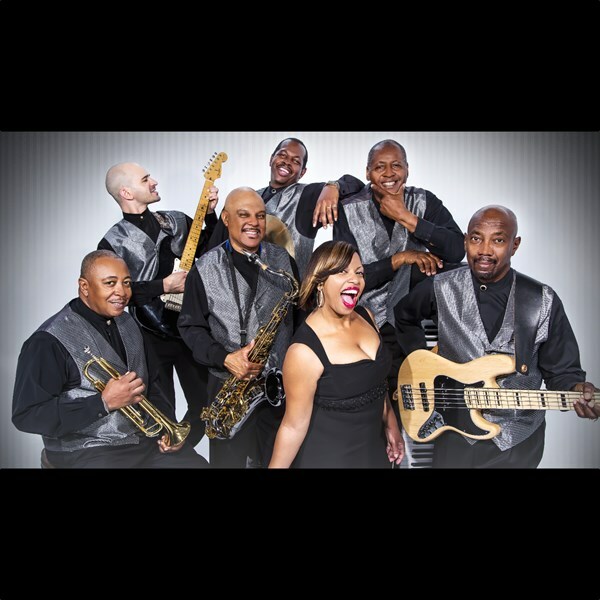 Enthusiasm and energy best describe this funky, upbeat dance band. The band features an exceptional four-piece rhythm section, two incredible horn players (trumpet & saxophone), and a female vocalist who always delivers a 'show stopping' performance. Each member of the rhythm section is featured either on lead vocals, or background harmonies. Whether your sights are set on the sixties or the new millennium, high-energy dance music, jazz and light dinner music, or the soulful sounds of Motown, look no further than HORIZON. 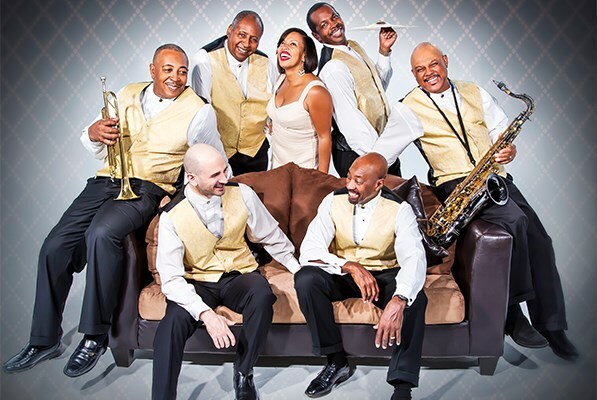 This band has entertained audiences as the opening act for The Temptations, Midnight Star, and War. In addition, some of HORIZON's satisfied clients include Schwartzchild Jewelers, Wintergreen Resort, the law firm of Allen and Allen, and the law firm of Klima & Pezzlo. Let HORIZON treat the guests of your corporate function, wedding reception, or social event to an unforgettable experience. This band's combination of professionalism, experience, and energy will create an event that will be talked about for years. HORIZON travels with a top of the line lighting & sound system and an experienced sound technician to create a trouble-free event for you. When 'the sky is the limit' look no further than HORIZON. Horizon was the perfect band for our wedding! We were so pleased with their talent, professionalism and overall experience. I would recommend them to anyone looking for a great band for their wedding that can play light music during dinner and then both hits and Motown to keep everyone dancing. We had the best time and they help make our wedding the most memorable experience. I would definitely recommend them! Horizon is talented, professional, and so nice to work with. They listened to what we wanted, they went above and beyond. They sound amazing and they had the party started with their first note. All the musicians are the best at what they do, the vocals were spot on. They worked with us for an extra special Father Daughter dance that turned out so well. The dance floor was packed immediately after their dance and remained packed all night. We appreciate all that Lawrence and Horizon did to make our event so very special. Everyone hated for the night to end. 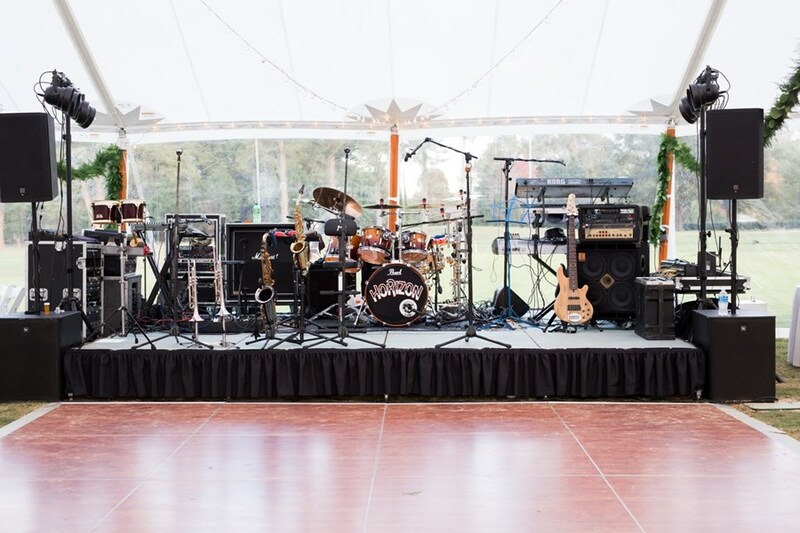 We highly recommend this band as being the perfect choice for any event! We love, love them! If only I had a dollar for everyone at the wedding who commented on how absolutely fantastic the band was.... Horizon rocked it. They kept the energy high and everyone dancing. They sounded great from start to finish. I can't thank them enough for making my already amazing day truly remarkable. Really impressive! Horizon was the best! They were terrific and easy to work with. We asked them to play a song that was not on their set-list for our first dance and they did so without any problems. All of our guests are still raving about how great the band was. I'm so thrilled we hired Horizon and would enthusiastically recommend them to a friend (and dance the night away at their wedding too!). Thank you for making our night extra special! Versatile and professional. Great to work with. The band was amazing. Everyone came up to us asking about the band and how great they were. They got everyone on the dance floor including a couple that had not danced in over twenty years. They played music everyone could enjoy and dance to from the young kids to our friends in there early twenties all the way to our older guests. We all had a amazing time and they made the party. We would highly recommend this band. Horizon was EXCELLENT. I arrived at my reception after the band had already been playing for a while and the first thing I heard when I got there was how good the band was. I would recommend them in a heartbeat. Please note Horizon will also travel to Studley, Richmond, Hanover, Glen Allen, Highland Springs, Ashland, Sandston, University Of Richmond, Manquin, Aylett, Doswell, New Kent, Quinton, King William, Midlothian, Rockville, Miles, Chesterfield, Manakin Sabot, Newtown, Chester, Montpelier, Walkerton, Cauthornville, Oilville, Ruther Glen, Charles City, Beaverdam, Milford, Saint Stephens Church.